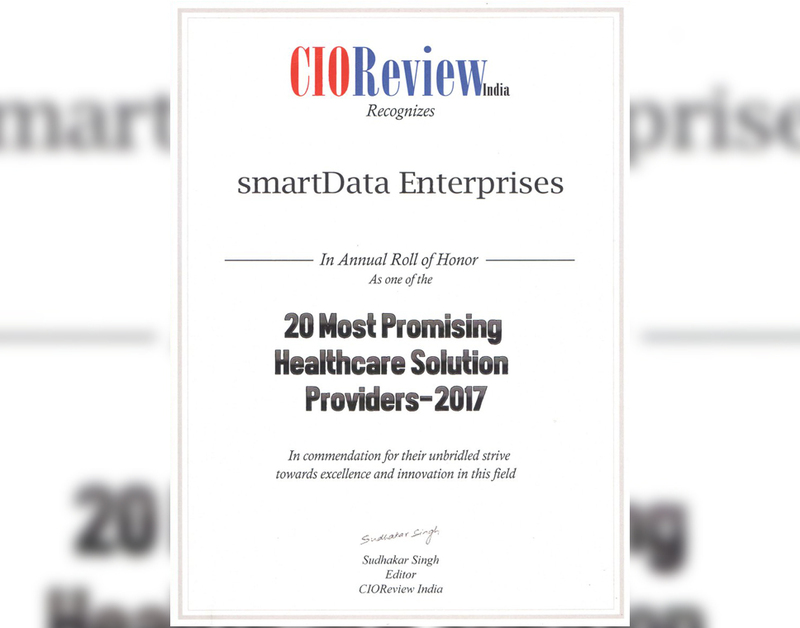 A proud moment for smartData for being among the elite group of “20 most promising healthcare solution” providers awarded by CIO Review India, a distinguished panel comprising CEOs, CIOs, VCs, analysts, and the CIOReview editorial board has selected the top solution providers. In the selection process, they looked at the organization capability to fulfill the need for cost-effective, technologically advanced and flexible solutions that would help add value to the healthcare landscape. With mobility fast gaining momentum, the company offers remote monitoring and wellness services that are HIPAA compliant mobile apps/web solutions for healthcare consumers to actively track and manage a healthy living. The system encapsulates fitness apps, group counseling, virtual coach and recommendation engine and wearable devices apps permitting better fitness and well-being. With the aim of continually deliver quality health care, the company extensively trains selected developers to join the internal healthcare group each year. 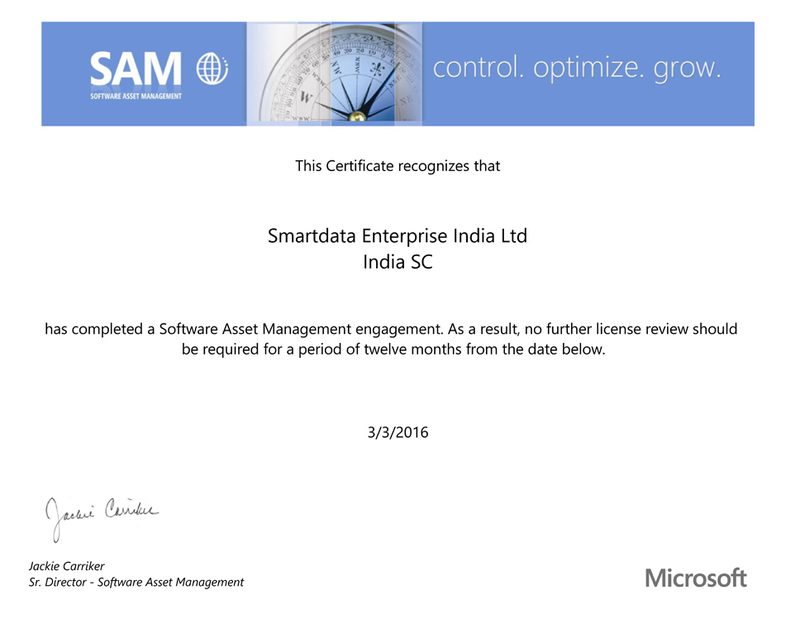 smartData has completed a Software Asset Management (SAM) engagement, Microsoft SAM helps the organization maximize value, minimize risks, and achieve more. 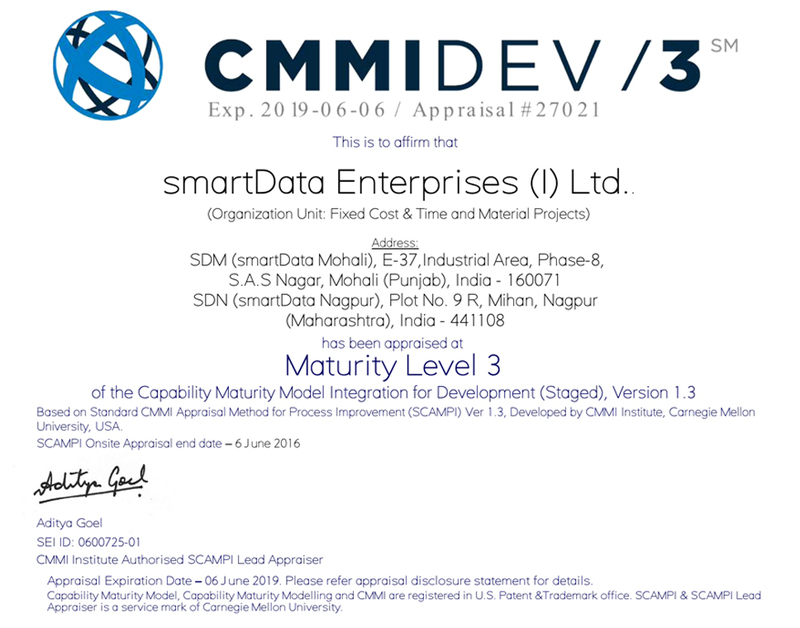 All the data will be secure and help in providing the data insights which you need to make critical business decisions. 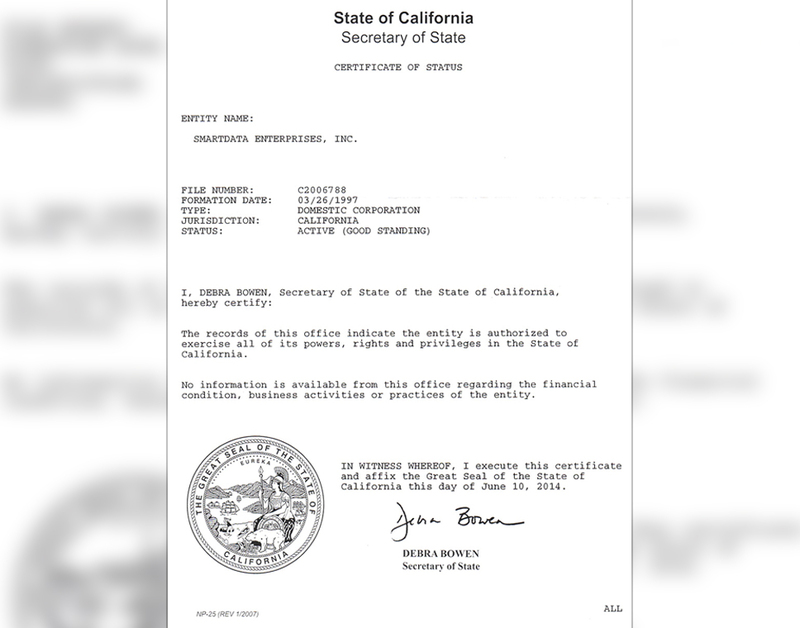 Secretary of State of California Certified: smartData Enterprises was incorporated in the California State in 1996 and has been a good community citizen paying all its Federal and State Taxes as per the records.